New Figures Highlight Huge Potential in Smart Energy Sector for Mobile Operators Deploying Mobile IoT Networks; Mobile IoT Networks Supporting Utilities Applications Globally. The GSMA today announced that mobile operators deploying new Mobile IoT networks will be able to benefit from the European connected energy market estimated to be worth USD$26 billion by 20261. Data shared by analyst house Machina Research highlights the huge growth opportunity in the emerging connected energy market that could connect approximately 158 million new smart meters on LPWA networks across Europe. The total number of connections in Europe could be further increased if the 60 million cellular connections are also included with LPWA. The current connected energy market, which includes applications related to the generation and transportation of energy, microgeneration, smart grid and distribution monitoring and smart metering, is worth an estimated USD$11.7 billion. The European connected energy market represents approximately 21 per cent of all global revenues, with APAC claiming 54 per cent and the Americas 21 per cent. The European Commission recently published a proposal indicating that approximately 200 million electricity smart meters and 45 million gas meters will be rolled out by 2020. The Commission also estimates that by 2020, approximately 72 per cent of Europeans customers will have a smart meter for electricity and about 40 per cent for gas2. 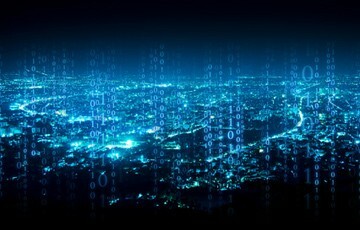 Mobile IoT networks are designed to support mass-market IoT applications across a wide variety of use cases including connected energy solutions such as water and gas metering, smart grids, electricity and energy monitoring. They support IoT applications that are low-cost, use low data rates, require long battery lives and often operate in remote and hard to reach locations making them ideal for the connected energy sector. Mobile networks are already supporting the smart electric metering market, but now other sectors such as water and gas metering are turning their attention to the benefits of adopting NB-IoT and LTE-M networks due to low power and better ground penetration. In Europe, Deutsche Telekom has already deployed NB-IoT networks for smart metering and smart lighting solutions in several locations in The Netherlands, including Amsterdam and Rotterdam. Vodafone is also working on a number of initiatives including a water metering project in Valencia using NB-IoT. Globally, AT&T is working with Capstone Metering in the U.S to monitor water usage using LTE-M. In Asia Pacific, the largest global market for smart metering applications, China Mobile is piloting NB-IoT for water quality monitoring across several locations, while China Unicom is using NB-IoT to collect readings from energy and water meters and is working with an energy company, SoftGrid on a smart cities project3. There are currently 21 commercial Mobile IoT networks available around the world from 14 operators, including AT&T, Telstra and Verizon (LTE-M), as well as 3 Hong Kong, China Mobile, China Telecom, China Unicom, Deutsche Telekom, KT, LG Uplus, M1 and Vodafone (NB-IoT). Etisalat and Turkcell have launched both NB-IoT and LTE-M.
For further information on the Mobile IoT Initiative, visit www.gsma.com/iot/mobile-iot-initiative/. 1 Machina Research 2017. The figure refers to the total potential revenue available to all companies in the connected energy ecosystem.